In this episode, I’m chatting with Cathi Bosco and Joe Dooley about a large project we did together. We talk about our roles and how we worked together. One of the challenges we tackled was incorporating a flexible animated icon system using SVGs — and what was involved in building that. My specialty is creating beautiful and cohesive web presence packages for clients that can convert audiences and present content elegantly (think modern and clean presentation). Our sites are built on The Genesis Framework and they function exceptionally well for a wide range of programs, communities, organizations, and companies. Joe Dooley often describes himself as largely driven by analytics and a keen passion for SEO. His Tampa SEO company implements cutting edge practices to boost website conversion and meet his client’s marketing goals. Working as a front-end web developer and leading Developing Designs allows Joe to nurture the business aspirations of his clients as he works with them to advance their marketing platforms in exciting directions leading to success. Don’t let the name confuse you. This is the comprehensive resource that we used to build our SVG animations for the project mentioned in this episode. Petr Tichy is passionate about front-end development and offers three free introductory courses — React 101, Greensock 101 and ScrollMagic 101 — and when you are ready to take your front-end dev skills to the next level, he has affordable online workshops in React, web animations. High quality video tutorials that show you step by step how to accomplish some very amazing things. Master front-end development and take your React, GreenSock and ScrollMagic knowledge to the next level. Jackie Hey everybody, it's Jackie D'Elia with Rethink.fm and this is episode 22, and I have two guests on the show, which makes it doubly awesome. I have Joe Dooley and Cathi Bosco. Hey guys. Jackie Thank you both for joining me. The topic for this episode was a project that we all collaborated on. And before we dive into that, I thought maybe let me just give you guys a chance to introduce yourselves and say what it is that you do. And then, we'll pick up on our conversation. Joe Sounds good. Cathi, you want to go first? Cathi Sure, sure. 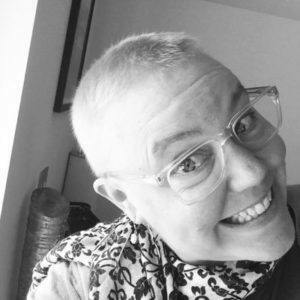 I'm Cathi Bosco and I ran a small boutique agency here in Madison, Connecticut, and I do mostly the design part of collaborative projects, audits, that sort of thing. 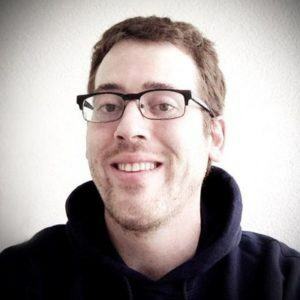 Joe Great, my name is Joe Dooley, I'm a developer at Developing Designs, it's a business that I started a few years back. We work on custom WordPress development, custom plugin development and we also do a lot of Google AdWords projects because we are Google Certified. Joe Cathi and I basically started this when we get to ... I consulted with her through proposal. And she was a big part in getting the project, she helped me with the proposal itself. She was working through [inaudible 00:02:03] until the end. Jackie I didn't even know that part. So thank you for sharing. All right, who wants to describe the project? Go ahead, Cathi. Cathi I'll start, I'll start because last year Joe and I, we took on an adventure of collaborating together last year, by doing bigger projects, fewer of them, but reaching towards enterprise-scale jobs for the first time, for me. I don't know ... you worked on enterprise-projects through your previous agency you worked before, Joe? Joe Through prior agency work, but not through my agency itself. Cathi Right. For me, it was like ... took on three large projects last year. This one that we did together, this membership site, agency site, that we did together was the largest project that I've ever worked on. We just supported each other to reach up and do a larger scale work, scaling up was an experience for me that was intense. It was exciting, I loved it. I love being able to focus on one project at a time. Definitely learned a lot. Would do a few things differently. I thought it would be fun for us to talk about deconstructing enterprise scale work a little bit together, because it definitely requires a team. I mean, Joe, on this project was ... I don't know, you describe yourself as the maestro writing the orchestra work, but I think you also built all of their instruments that they played on and trained them all to play them as well. It was so much work for you. So, wow. Joe When it comes to large projects, as a single developer agency or someone who's just use to working smaller size business clients, your $10,000 client projects or maybe even your $20,000 client projects, you may think that as a developer you can handle the whole project by yourself. You can be the project manager, you can work with the designer, like Cathi, and she could just supply .PSDs or sketch files and that will be enough. But it really gets to a point where, when you're working with the team from the other client, back and forth, [inaudible 00:04:14] there's not enough time left for development towards the end. It's a lot to keep track of. So, it becomes ... it's a big challenge, it really is. I think one of the biggest things that would've helped us, Cathi and I, is if we had a project manager on our side to guide me and Cathi along through this project, keep track of everything for us. Cathi Yeah, that would've been a good ... especially because I got sick in the middle of the project. So, this was a long-term project and we're dealing with an international company that does membership sites internationally. They're a web development company, so they have developers, they have designers on staff, but they wanted us to redo their website and to build a new WordPress custom development. So, from the intake and the onboarding, we were working with one group of C-level people there. And they all left the company in the beginning of our project. And then we were working with new people at that company, and it was just a lot of changes and it took a lot longer to move things forward and what they want. Remember when we sent them back with navigation changes? At one point, their entire navigation had to be reconstructed and that was many, many weeks for the setback. But it was important that they did that, the site needed it. Joe Absolutely. This project became, like Cathi just mentioned, there was internal change of their employees. We had one set of PSDs to start on this project, and then we got an email one day saying, "Hey, we're having some internal changes for the new company. We'll get back to it in two months." That's pretty much how it happened, right? Yeah. It was tough. It really was. That kind of leads into next thing. I think, Cathi and I, I think we might have rushed through the proposal phase. I think we were so excited to take on such huge client that we might have left a lot of details. Maybe we're trying to be too willing to take on this project or give this project. Do you have any experience with that, Cathi? Or Jackie? Jackie I think anybody who has done projects for clients has done that in the past, or with projects that turned out to be larger in scope than you initially thought. Let's do a 30,000-foot overview of the project. So, the project involved redoing a website for a membership company, right? So they do membership sites, so you had to redo their website and then, part of the things involved in that was a redesigning of the whole site, they also wanted some icons, and animation, and other features that, as we all found out as we went through their project, turned out to be a little more complicated than initialLy thought. But we ended up getting through. But I'll let you, Cathi, why don't you just explain how the whole design went? And what were the components in it? And building those things into the large structure of their website, which was huge, right, Joe? And Joe, as we were going along they kept asking for more things, and more things, you basically build a page builder on the back end of the admin pages for them. Now, they have complete control right on the editing pages for their SVG icons, where do they go, padding, font sizes. I cannot tell you the level of work that Joe did, as far as getting them control. They never have to touch any color at all. They're just in there designing that stuff. You know, the work that you did getting things to animate, Jackie, and then we had to work with Joe so that he could install them on the dev and test sites. It was thrilling and overwhelming. And, again, I was recovering from illness at that time, through that, so you both were really heroes. I feel like I was just sort of in the background, delivering files back and forth. Jackie I don't think that's true at all, Cathi. You were right there the whole time just working through the icons, making revisions. Before we jump onto the icons, though ... so, Joe, Cathi just mentioned that you did a page builder. So what tool did you use in WordPress to give them the ability to customize each page. Joe Sure. So, involved in the page builder, I use advanced custom fields for that, but I could've used any other type of custom fields' builder. Or I could've just done custom code, but it really gives you a headstart. I was using with advanced custom fields, their flexible content builder. What enables you to create little layouts so that you can drag and drop this layouts and in any order that you want on the page. So, take for instance, they're going to need a hero layout, or then they also want a content-content layout, where it will be a block of content, another block of content, so left and right. Or they want an image content layout, or [inaudible 00:10:50] image layout, et cetera. So it got to the point where there was about upwards of 20 different layouts from this guys, all on the same page, which really gets into the technicals of WordPress core. Trying to load 1,000 custom fields with a million if conditionals inside this one function. It was really though to build a site that was secure, performant and designed to their needs. Cathi A lot of components were generated, a lot, three different types of galleries, right? Joe Different galleries, some with the layover, some without. Some with two galleries, three gallery roads, four gallery roads, et cetera. For the hero component, it would had to be one ... so there's a hero layout and then there was also different options for the hero, so you could have background video for your hero, you could have a button where you flick and the video will pop open for your hero. There's also, for the hero, the content could be centered, it could be to your left or it could be to the right. It's so many details. [inaudible 00:12:00] with this website they're really stuck in those details. And that's where I felt Cathi was most essential for this project. She really kept me going. Because it was a lot of work. Cathi was definitely my support throughout this whole project and I didn't have to worry about one thing when it came to design. Cathi was just all over that and that was such a huge help, to just know that I have an area in this site that I can trust someone to do, without even having to second guess it. Cathi was awesome there and that's when she brought on Jackie, to do the animations. Right of the bat I knew that I could trust Jackie completely. After seeing the initial works. So that was such a relief, because it really was [crosstalk 00:12:39]. Jackie As you're scrolling [crosstalk 00:13:59] we had the page or we had a piggy bank that you wanted coins to drop in to. There was tons of different animations that we did on those. What we ended up having to do was take each icon, describe what we wanted ... and Cathi was great at this. She was like, "Here's the animation, this is what I envision happening" and my initial assessment was, you know, once I realized we needed to do it on scroll, I started saying, "okay, there's got to be some ways to simplify this and automate this process a little bit." And I stumbled on Greensock, I think it was the one we ended up deciding to use. Because we wanted to make sure that the animations worked in Microsoft Edge, which it doesn't unless you're using something like Greensock. Joe I think we all did. Jackie Yeah, test it out, learn from it. And we went through a couple of iterations. "Okay, this kind of worked, but it didn't really worked, what's the problem up here? Originally we were going to have individual .js files for each page and then we had to rethink that and go back and say, "No." And Joe was the one who pointed out, "I think we can put them all together. I think that'll work." And it ended up working. Cathi and I build a test little demo site, which was lie our proof of concept, before we even started to do anything with the code that Joe had already built. We created just a little demo site and started doing some test animations like three little icons on a page, and scrolling up to see if we could get it to do what we wanted. And then once we were successful with that, then we figured out ways to cord it and integrate it with Joe's stuff. And I have to say, his stuff was very complex, so that was another ... I just wanted to roll my head and say, you know ... he gave me the access to go in there, I started looking around, said, "Oh dear, I don't know if I'm going to be able to do this." We worked through it and we did get that part done. Cathi Imagine how I feel looking at what he's doing. The nice thing about it was ... the client now in the end can put those icons anywhere they want. They can now, whatever page they're on, if they want to change the content, block or cards, they can move those icons around. So it's challenge for us, Jackie, right? Jackie Yes, because we had to make sure that we had unique names for everything. So we made sure that we had a unique name for the icon and then the groups within that icon had to have unique names so that we didn't accidentally animate somebody who weren't supposed to be animating on that page. Jackie Because then you had the ability to move icons around to different pages. Our original idea was, the icon has to stay in the groups if they were in on those pages, right? We had to go back and rethink that part as well and say, "Okay, if they need to be able to move icons around, then we've got to make sure everything is named uniquely, so that an icon for page a could be [inaudible 00:17:56], an icon on page b ... " and they would still both animated on the scroll, which a lot of the work was animating as you gently start to scroll up the page, these subtle little animations would take place. And then they would end as you ... as they started to scroll up of the top of the screen. Cathi Yeah, they weren't even triggered to do something. It was like, as you move, the wheel turn and as you scroll back down, it un-turn. So you're actually controlling what is happening by interacting on the screen, which is so great on mobile. I love it on mobile so much. Joe It really makes the site, it does. It's just the added benefit that the user needs. It's ... I don't know, the user knows that they care about [inaudible 00:18:42] interacting with each page. Jackie It's a good way to put it, Joe. I would say, one of the challenges, and I'll ask you this Joe, because slowed speed and the speed of the site it's so critical. One thing that the client didn't take our advice one was, WordPress hosting ... you want to talk a little bit about that, the hosting situation? Joe Sure. We're actually still dealing with that now. If you go to the current URL, the site's absolutely slow, it's a shame. On our dev sites, we have this site loading in under two seconds. But now there's actually some more internal changes over the company and they brought on another IT team itself. And they've been consulting with me over the past three weeks to ... they had a multi site set up for WordPress, which we didn't even know about until we gave them the site. So I've had to convert their multi site to a single site install. And they were already using google for their hosting. Now they switched over to amazon .AWS. Today we're supposed to cut a new site and go live with their load balance version of their site. In my opinion, I think manage WordPress testing is the way to go, either through Pantheon or WP Engine. Just because for 25 hours a month, depending on your traffic level, you have a team of experts who are completely engaged with WordPress in regards to security concerns, security issues, performance, et cetera. There's no way that an internal team it's going to be able to devote as much time as a company that this is their expertise. Jackie Their sites, all over their membership sites, none of the work that they do for clients, is in WordPress. Joe Yeah, I wish a lot of clients would actually ... they're trusting us to build a site, they're trusting us as their WordPress experts, you know, trust us in regards to their hosting, as well. It would really make things a lot easier and save the client a lot of money in the end. Jackie I have to say, Joe, I know you introduced me to Pantheon. I had not been in the back-end of Pantheon or got to see anything and it was a new process for me. 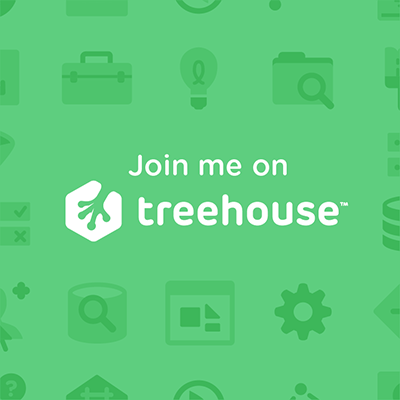 And this past year, I've spent awful lot of time with WP Engine as well, because a lot of the work that I'm doing involves working on a lot of client sites that are WP engine. And so, I moved my hosting for rethink.fm and for jackiedelia.com, I moved all of those over to WP Engine and I can echo what you're saying, is that it is really nice to have whichever host you go you, if they're focused on WordPress, it really does help because you do have a team of experts at your disposal, right? So WP Engine, I can speak for that one, because when I need support, you can just open a chat window with somebody there. And it's usually anybody that's going to talk to you there can get you the answer, can resolve the problem and can do it in really short order. Jackie It's much different than going for a more traditional shared host where, let's just say, the process is a really more arduous to get support and answers. Or to be able to explain what your problem is. A lot of times, they even encounter this things so many times. "Oh, okay, you need to ... your redirects are wrong here, let me fix that." A lot of times, I'll just let them fix it. Just open up a window and say, "I'm having a problem here, can you resolve it?" Because I don't ... that's not my job all day is to be hosting, redirect, URL, all of ... that's not what I do every day. I rather give that to somebody who, that's their expertise. Jackie Yeah, they can scale with a large project too. And like Pagely, for a super enterprise. Jackie Was there anything else that you learned on this project that you didn't know going in? Things that might help you on your next project that you do, or advice that can help others who are considering doing something where collaborating together allows you to do a larger project, right? Where you can each focus on your areas of expertise, and not have to deal with all, I guess the entire scope of the project. Any advice on that? Joe I think ... [inaudible 00:23:55] I think communication, that's the biggest thing. So, of course set up an environment where you can all communicate and set up an area where you can bring clients in, as well. Keep that separate from the actual internal team communication, but we use Slack, we have multiple channels, one for the internal team and one for the actual client team, where they can chime in as well. You know, one of the big things is you can't have a million [inaudible 00:24:22], you have to have one person on the client team that you're actually communicating with as the developer or as the product manager. You can't have 10 people saying things and saying, "This needs to be changed, that needs to be changed," because in the end you're just spinning your wheels and not getting work done. That's one of the things that I learned from this and I think even setting something up a little better would've been more helpful, something like BaseCamp, where we could assign tasks and check them off as we go. Or just use GitHub completely, by creating issues and things like that on request, elementary and helpful. Jackie I use BaseCamp every day now in my workflow with all the clients that I'm working with and some of the agencies that I do work with. And I find that super helpful. It's very intuitive for me to use it, I really like it, but I could see where you'd been using GitHub with issues. It's just you need a place to keep all of that information organized, and it's clear to see your to-dos and get things schedule. Cathi And months and months are going by on big projects, you know? It's impossible. Yeah. Cathi I think we could've used the project manager for sure. That was too much. I was out for being sick a little bit, too. It's too much for such ... the way this project expanded, expanded, expanded, specially became too much for one person. Just too much. So that would've been good. I think, one of the things I've learned from Jackie, working in collaboration with her, and I agree completely, communication is the key. Good communication, being able to articulate and use the same vocabulary for dev work and design work, and being able to articulate back and forth, as well is important. But Jackie is really great at giving status updates. Now I use this term. Status update. At the end of the day, here comes a status update. I love that. So I totally started doing that with my own clients now, Jackie, and they really appreciate it. It put me as a client, when I was working in collaboration, a little bit, as opposed to just being the hired help. I adapted that and I think that that's a good practice, whether it's a benchmark points or whether it's ... you get a status update every Wednesday and Friday, or whatever it is. I think that's something that I've continued to do. I just think communication is probably the most important thing. And I would say, one thing that I did that I ... I don't know if it's good or bad. I'll take on things, I'll go right to the edge of my abilities. And if I know I have the resources whether it's my ability or Jackie's ability, or Joe's ability or somebody in my team's ability to do something, even if it's beyond my own, I'll go for it. But you have to make sure you have those resources, really. I find that to be one of the better things about collaboration, because you get this cumulative learning benefit from it. Jackie I know, I have to say, I was able to learn a lot more about working with SVGs when doing this project than when I first started. Cathi and I spent a lot of time getting SVGs out of Illustrator, getting everything set up the way we wanted and optimizing those. Remember we went through that whole process of going through getting all the changes made to the SVG, then optimizing it, and getting that set up. It was a great workflow process for working with SVGs. And I think that helped us out an awful lot in going through. And we had a good system. You provided me with the animation sequences we wanted, I [inaudible 00:29:10] and then we automatically just took it to the next level and went on to the next one. Cathi Right, right. I built the icons. Actually, I was given icons that then, for inspiration. Then I took it from the client, broke them apart, gave them animations, and then built them in illustrator with the files and decided how it would work and what we would have them do. And sometimes you ... you had great input on that, too, I'm sure Jackie. Then I would make a Read Me file for Jackie and she could get a little Read Me with the assets, so that she would know what my vision was. Joe That's gotta be so tedious. Cathi In this layer called arm left will raise at this angle, at this moment. Oh my gosh. Joe And you can tell by the code. Looking at the CSS class names, you can still ... there's your instructions in there, it's fairly [inaudible 00:30:11] the way ... you guys gotta be SVG experts by now. First off, WordPress doesn't ... SVGs aren't even supported by WordPress from the get-go. It's a security concern for them. To integrate SVGs, specially where you can actually siloed them on the page it's really unheard of. Cathi and Jackie, it was great not having to worry about any of that. They did a great job. Cathi Awesome. It's addictive work. Now I just want to do all SVG stuff. Jackie We're almost coming up to the end of our time and I just wanted to say, just take an opportunity to ask you both, is there anything that you're rethinking in your business right now that you want to share? Joe? Joe Sure. Right now, I'm actually, I'm trying to take a break from working with clients, in a way. I signed a short-term contract to work with in another agency for next three months. I'm working with them just because they [inaudible 00:31:21] I'm trying to do that to speed up internal processes within the business itself, to learn from them, because a lot of developers, I know they had to start, they work somewhere, they might be elite developers in some agency, they think, "Why can't I just do this myself? You know? Make the [inaudible 00:31:38] box?" That's what I surely thought. When it comes down to it, you actually hit a plateau because there's only 40 hours in the week, or 16 or 17, if you're me, but it gets to a point where you're communicating with your clients for 30% of your time, 35%, sometimes 40% for that week. Plus, you have to take on new business and then you had to actually do the development work that you're promising. And then you have to set up time for fine calls to show them the work, et cetera. It gets to a point where you reach a plateau and you can only work with three clients at a time, as a single developer. So, the scaling is very difficult. I'm definitely trying to learn from an experienced agency right now on how I can improve these internal processes and then employ that to my own business. Cathi Last year was about scaling, for me, and collaborating, and that worked out pretty well. I think I went to PressNomics this year and I got really bitten by the bug of products. I'm doing, creating business vertical, right now I'm working on a business vertical called Docs With Apps and we're making apps for ... I'm collaborating with an orthodontist and we're making custom apps for orthodontic practices throughout the United States. Each doctor can have their own application that reminds kids to change their elastics and their braces, they're hybrid apps, they're part of the App Presser platform. That's really fun. It's really different, it's sort of white labeling, but yet ... doing that, so I've got that and I've got a couple other products that you know about, Jackie, that I'd like to see moving forward. We'll see. Jackie [crosstalk 00:33:29] I'm working on my schedule and [inaudible 00:33:34] time, so we can do that. Cathi Yeah, but lots of design work, and some client work. Recovering from being sick, last year, not doing any more enterprise work. But not because I didn't love it. I did. It's just really major time consuming commitment. Jackie I have to say, it's wonderful to see you feeling better, looking marvelous. Jackie It makes me very joyous to see that. Cathi Thank you. You guys are both my heroes, thank you. Joe Right back at you. For sure. Jackie All right, everybody. That will wrap it up for this episode. Joe, if folks want to follow you, find you, ask you questions, how can they reach you? Joe Twitter, @devdesignstampa and my website developingdesigns.com. Cathi You can find me at canddstudios.com and my Twitter handle is @bethebreeze. Jackie Be the breeze, all right. All right, everybody, I hope you have a great week and thank you both, Joe and Cathi for joining me, and I'll see you in the next episode. Jackie Okay, we're good. We got four minutes left on our time. So we can chat for a couple of seconds before it will kill, cut us off. Cathi So, are you going to share the link to the website in the post? Jackie Only if you want me to. Cathi Yeah, I think you should. Jackie I would like to. I didn't mention the name on here because I wasn't sure, and I figured if you guys wanted to say it, you would've said it out. Joe Yeah, we have a good relationship with them, [inaudible 00:35:18] definitely [inaudible 00:35:18]. Jackie Okay, so we could definitely do that and that would make it easier to, at least show them that site and if you've got any other things you want to share, any tools, or any things that we've used. I know I'll share the ihatetomatoes.net because it is a great place to do that. I'll share the links for Greensock and ScrollMagic and all of those things that we used, and Advanced Custom Fields Pro is another good one to mention, right? Actually, Joe, you have been really helpful to me on that, because we just hired a developer, because I'm working part-time for an agency, also. I'm in the same boat as you, I ended up carving out sixty hours of my ... to work with this company and so it's good stable income that comes in. One of the developers that we've got, she's using ... was very good with using Advanced Custom Fields, so I've started using it on projects. And I have to say, it's just so nice. Seeing what you did and sin your membership, when I [inaudible 00:36:20] in there and I saw what you did I was like, "This is really easy." Joe I think we ... isn't the new editor project for WordPress kind of going down that same route? Jackie I think so, but it's got such bad press right now. Joe I know, I've been reading about it, yeah. Jackie I think it's gonna have to go through some iterations before we get there. Things are ... the world is moving to drag and drop, we all know it. That's what's coming. So things live Beaver Builder are just gaining popularity, there's just a lot od people using them. 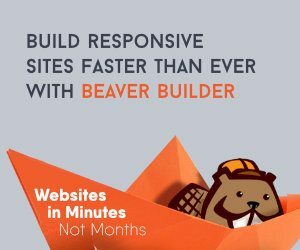 And I think it's very helpful for people who are doing implementations where they have a client, they need a website, they pick out a theme, something that they can use with Beaver Builder to do these layouts quickly and get them out. I think that's really good. Jackie Okay, so this episode will air, I think I said I told you when it was going to air. I've got one airing next Friday, and then one more after that that I recorded with Bob Dunn. Do you know Bob Dunn? Joe I've read some of his articles. Yeah. Jackie So you guys will air September, 7th, which will be right after the Labor Day weekend. I think, or something. Jackie Something along those lines. All right, it's going to cut us off any second, so thank you both. Cathi Thank you. Thank you. Good to see you, Joe. Jackie Hugs to all of you. Joe I appreciate it. Nice seeing all you guys.